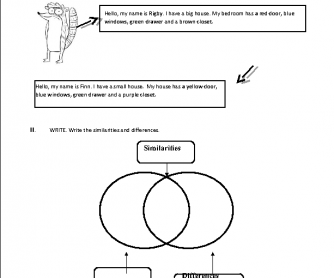 Worksheet for primary school. This is a worksheet about the parts of the house. Item I: reading. 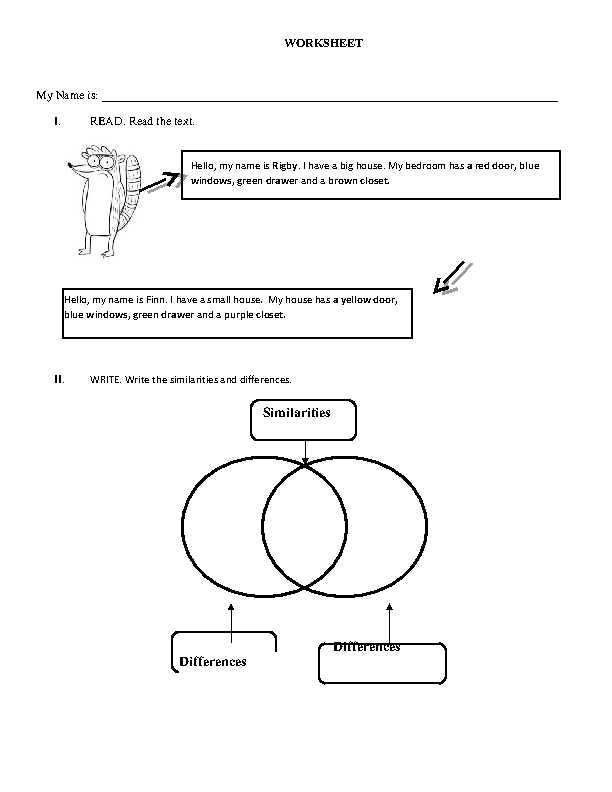 Item II: complete the graphic organizer according to the reading. Item III: match the names with the pictures. Item IV: the use of a and an. Item V: dictation. listen and draw.